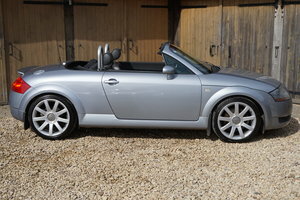 This Stunning Condition Audi TT S Line Convertible is presented in Avus Grey Metallic with Charcoal Mohair power operated hood and Fine Napa Onyx hide and Charcoal Alcantara perforated insert Sport seats . 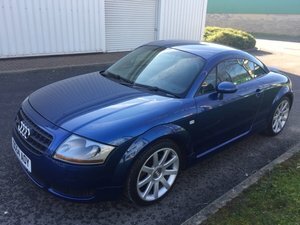 Powered by the 1.8 Turbo 20V (225BHP) BAM engine , Quattro Drive , 6 speed manual , ESC (electronic stability control), pas and ABS brakes . Audi factory options and spec includes S Line Suspension , 18inch x 8J Wheels of Audi Sport/Quattro GmbH (fully refurbished), Sports seats with Alcantara perforated inserts ,Climate control , heated seats with height control , Sports steering wheel , driver , passenger and side airbags , Windshield in heat-insulating glass with sunsheild and viewing window , illuminated vanity mirrors , Audi anti-theft system with remote locking , Premium Audi Chorus hi fi system with Bose speakers and cd changer , Xenon headlamps with headlamp washers , Cruise control , Multi-function display/trip computer with check control , Audi fitted overmats with new rubber fitted mats . 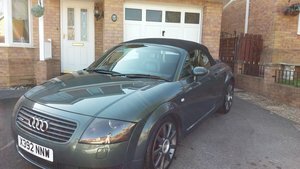 This High Spec Audi TT S line convertible has service history to varify its genuine mileage of 127k and just had a full service including suspension bushes , Haldex service ,front and rear brake discs and pads , new mot and climate control fully serviced .  Supplied with new fitted indoor cover , handbook pack , spare key and first aid kit . 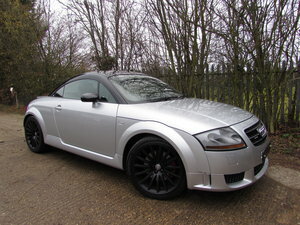 This Audi TT S Line Convertible is in Stunning condition and drives Superb with Excellent road holding and build quality . Photos to follow and delivery can be arranged . 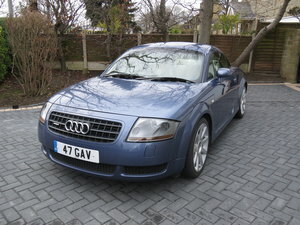 2006 AN IMMACULATE AUDI TT QUATTRO SPORT WITH ONLY 37,000 MILES!